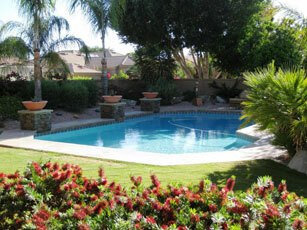 If you have an existing swimming pool or spa and it needs more than just some patch work give Blue Dot Pools a call. Remodels can range from simple, such as resurfacing a pool, to elaborate, like adding a spa, Baja steps, or stunning water features. Changing tile and decking along with a new interior surface can make a dramatic difference in the appearance of an older pool. Our staff is highly trained to help you with all your remodel needs.